Easy way to display adsense at the middle of your blogger post - 8Figurez - Be Your Own Boss! 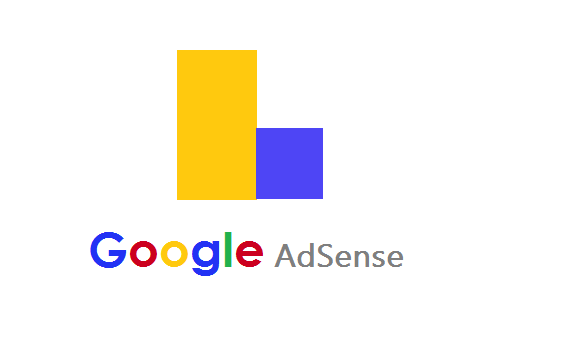 Displaying Adsense at the middle of any blogger post is quite interesting and with it, you will experience rapid growth in your Adsense earnings. I decided to do this tutorial after receiving multiple complaints from my readers of the difficult they face when trying to display Adsense at the middle of there blog post. Its quite annoying when you read a tutorial about something and it didn't work you. I have read so many post where you can achieve this fit of displaying google ads at the middle of your post but so many of them usually require you to change some codes in your blogger templates for this to work, so i decided to run a different review on how you can do this without tempering with your blogger templates. The method of you editing your blogger templates and adding/replacing some codes which am not going to cover here is mostly recommended for people that already have a large number of published post . The idea am about to give you right now will require you to do some manual work in your old blogger posts. How to display ads at the middle of each blogger post. Once you click new ad unit, it will take you to a different page where you will be asked to select the type of ad you would like to create? You can choose any of the three ad types shown above, as for me i choose the first one which is text and display ads. once you select it, you will now be shown a code to copy, go ahead and give your new ad unit any name and then copy the code as it will be used in the second step. Once you have copied the code as directed in step one, move back to your blogger dashboard, click on posts and then select any of your old posts and click edit post. Once it opens, click on HTML at the top left of the post you are editing. Once you click it, you will find yourself inside the html part of the post you are trying to edit, then paste the code you copied in step 1 at the middle of the the blog post(you can past it at the top or bottom depending on where you want the ads to appear. you can also paste in both the top and middle if you wand the ads to display twice in the post. go ahead and play around the positions and see how it looks). after that click update and you are done. it works in both PC and MOBILE. You can go ahead and use step two to edit any other old post you want to display ads at the middle. HOW TO MAKE THE ADS TO APPEAR AUTOMATICALLY IN YOUR FUTURE POSTS. Go to your blogger dashboard and then click settings. under settings, click on posts, comments and sharing. you will see post templates, click on edit and then paste the adsense code you generated in step 1 inside there and click save. you are done. any time you want to write a new post, you can go to the html section and see your adsense code automatically place there for you. you can now wrap your contents around so that it will appear in the middle.Goodluck! thats all guys. Did it work for you? let us know in the comment section below. Hi, Nice & Informative article. Display Advertising Agency is one of the best practices nowadays most of the organizations from startup to big brands are using. It's very helpful in showcasing our business to the right person in right time. Very nice article.